I'm trying to add the form to our web site - we use MODx for our CMS. 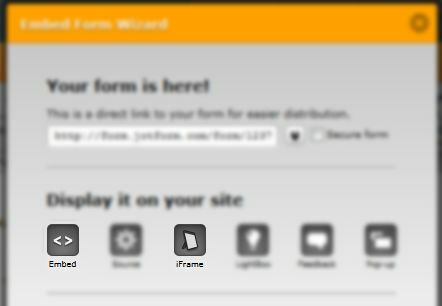 The only way that I've been able to add the form is to preview the form in a browswer window and copy the source code. The only problem -- is that the validation no longer works and someone can just hit the submit button without inputting any info. embeded so that can test out the form. Hello - thank you so much for responding so quickly. Is the URL you provided the correct one? I checked that site and did not find any JotForm embedded in it. Can you please double check the site that you provided? Thanks! Oh and by the way, the most commonly used embed methods are Embed <> and iFrame. Please try and see it if works for your site. Hello - thank you so much for your help with this matter. Unfortunately we are unable to use iframes with our site - that's why I had to copy/paste the source code.